The Powerbox® Plus 24L electric cooler is packed with 30% more premium insulation than its predecessor. When plugged into electricity via a transformer, Powerbox® Plus 24L keep content 20°C below the ambient temperature. The improved and very quiet fan emits a maximum of 39 dB, that won’t wake you up at night! 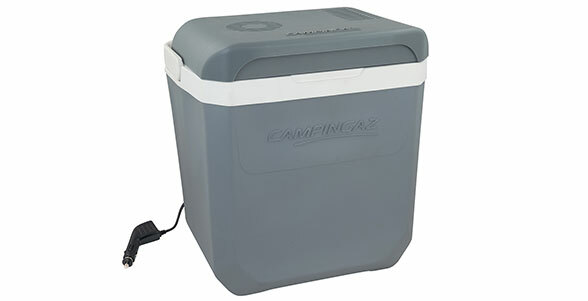 The power cord and plug can also be easily removed and conveniently stored inside the cooler during non-use. Cooler Powerbox® Plus 24L has antimicrobial lining that comes from a chemical additive injected into the plastic within the liner. With a new and modern shape built from strong and thick polypropylene this cooler stay cool for hours even when unplugged.